Most of internet users require internet connection with a better speed so that they usually try to increase their internet speed. By default, In Windows operating systems such as Windows XP, Windows Vista, Windows 7 etc, the system reserves 20% of bandwidth from the internet connection for various services such as windows updates and some other updates. Therefore, we can tweak internet speed by getting this 20% of bandwidth since that reserved bandwidth may not be often used. If you enable this bandwidth reservation service, then you can change the bandwidth limit to 0%. However, if you disable this setting or not configure it, the system automatically reserves 20% from the bandwidth. Let us see how to increase the internet speed by getting reserved bandwidth. At the beginning, Simply go to the Run and then type gpedit.msc and hit Enter. Double click on the Limit reservable Bandwidth in the right side, it will open a window which can be used to configure Bandwidth reservation. 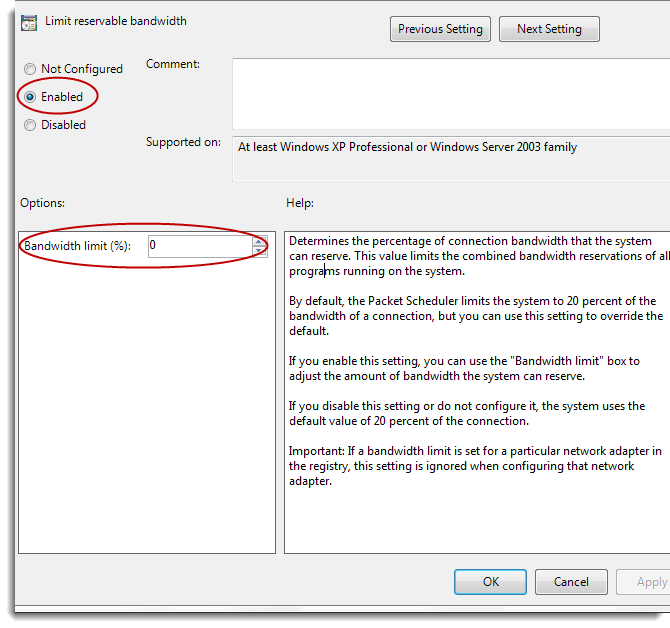 Select the Enabled option button in the window and change the bandwidth limit value to 0% then click OK to apply the new settings. Here, you have to restart your computer and after that surf the internet so that you can feel the internet speed is much higher than before. Do not forget to leave your comments below. Run and then type gpedit.msc and hit Enter. the message"windows cannot find"appears..how can u solve this? r u using windows 7 Home Premium , Professional or ultimate version? Go to C:\Windows\System32\en-US folder and check whether the gpedit.msc file is availble. 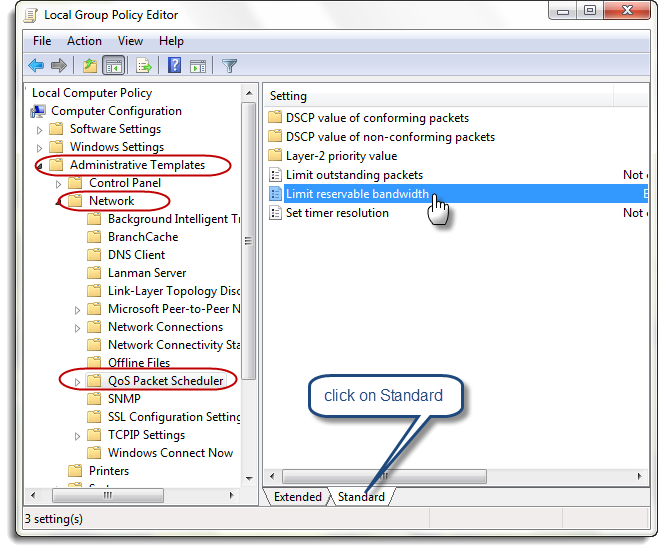 So, i think your windows version doesn't support for accessing group policy editor. see this image that was taken from win7 ultimate. Can you show the error message with a screenshot? Give me ur email address,then I will contact you. Post writing is also a fun, if you be acquainted with then you can write or else it is complex to write. I constantly spent my half an hour to read this webpage's content everyday along with a cup of coffee.